This free spring themed I spy printable for kids is a perfect way to work on a variety of skills! It may officially be Spring here, but there's still plenty of snow leftover from the past two weeks. However, I'm very much looking forward to seeing some spring flowers blooming. The bright colors will be a welcome sight. 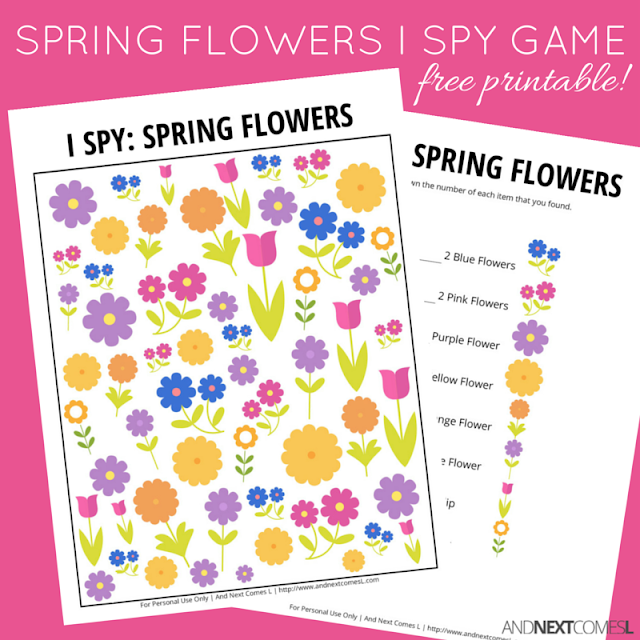 So this free printable Spring flowers I Spy game for kids is a great way to get the kids excited about spring time! 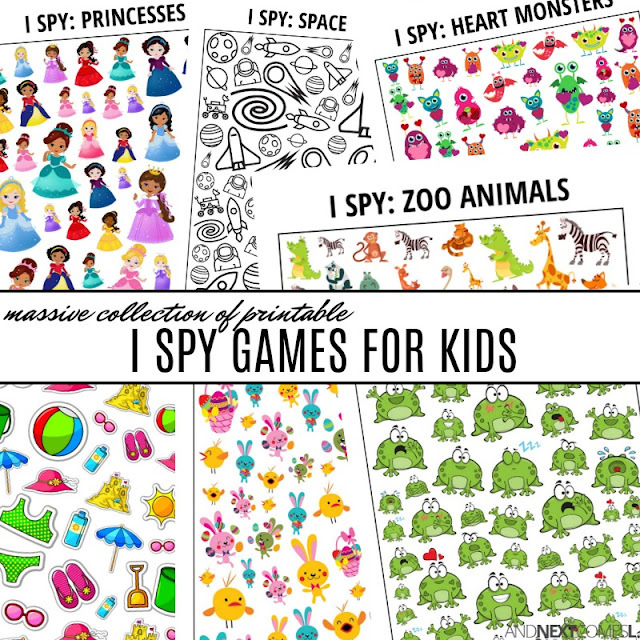 I Spy printables like this spring themed one are great for providing visual sensory input to kids, making them a great choice for visual sensory seekers. They also help develop a child's visual tracking ability and improve visual discrimination. This printable requires kids to visually scan through the objects and find ones that are the same.